The GPP team is made up of full-time professional painters with years of experience, it’s what we do, and we are experts in our trade. GPP is a licensed and insured contractor. We have full coverage of liability and workman’s compensation insurance on all employees. We are family owned and operated with over 17 years in the business. We hold an A+ rating with the Better Business Beau. At GPP we emphasize a clean and safe job site, making sure all employees are aware of safety procedures and how to keep the working environment safe for all. Organization and cleanliness is key to giving a good product, we pride ourself in this area. We clean up the job site daily and remove supplies and equipment and leftover debris when the job is completed. At GPP Peace of Mind is important to us we offer detailed estimates that are straight forward and easy to read and are backed by the GPP 3 year written warranty. Every project and process is carefully overseen by our Owner, to ensure the highest quality product and service. Quality over quantity, we take great pride in the process from preparing your project for painting, to the application of the highest quality of coatings in the industry. 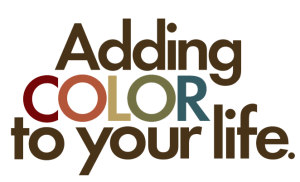 We offer color consultation, let us help you select a color scheme that will add value to your home and create a look that fits your personality. Gallagher Painting Plus Inc. values customer service from setting up a quote quickly to returning a phone call. Answering your questions along the way and involving you the process. We have strong customer loyalty 85% of our work comes from word of mouth, referrals and repeat customers. From traditional forms of payment to online we try to make the whole process as easy as possible. We also accept debit, credit cards and offer homeowner financing. Your property is among one of your most valuable assets, with that in mind, we pledge to deliver work of the highest quality with superior satisfaction. This is our guarantee to you, to ensure confidence in our work we also offer a three-year workmanship warranty. Please submit an inquiry via email or contact us directly by phone! ©2019 Gallagher Painting Plus®. Do not copy. All rights reserved.